Get an online store that ticks all the boxes! Our online stores and shopping carts sell millions of dollars of products every year. Safe, secure and reliable ecommerce has always been a major focus of Telligence's web development efforts. A great online shopping experience provided by your own PowerSites Store will result in satisfied customers and return business for you. Power to Perform and Puts you in Control with Ease! All of our online store websites are easy to use. Some features include however not limited to discounts, sale categories, wholesale pricing, delivery calculations, tax calculations, powerful product searching, payment gateway integration, paypal and way too many more to mention here are available to you out of the box. We offer personal support and advice that is based on years of experience supporting clients doing business online and you'll find Telligence is much more than "just" your average website provider. Telligence and PowerSites Store will become your partner in ecommerce website success! We have a heap of options we can discuss with you. We are dedicated in providing you with the best ecommerce solution. Are you ready to take your online store to the next level? Then don’t hesitate and contact us today to start your website project with us. Our Ecommerce Website packages are not only designed and developed by us, but they are also completely supported and hosted by us too. So you will never find yourself with a problem or a question with your website and no one to help, we are always here and ready to help you! Starting to sell online can be a daunting process and our team will make the process as easy as we possibly can as well as offering you friendly advice and tips along the way. 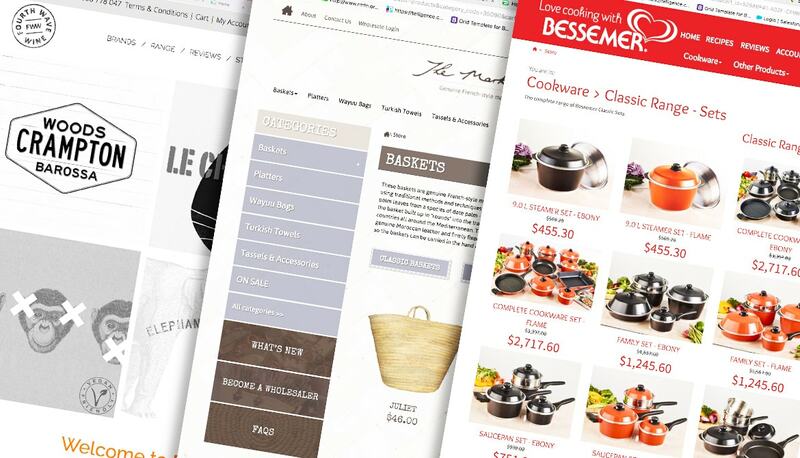 Why Choose a PowerSites Ecommerce Website? We deliver websites that look amazing, use enterprise level technology and tick all the boxes! We have over 20 years experience in delivering websites to Australian businesses. Together you and our web design team will create a website that not only looks great but helps you achieve the most sales possible. We will guide you through the design process to make sure your design includes important elements often missed. Whether you are wanting Paypal, Braintree, Eway or payments via an electronic gateway, or take manual offline payments, we will discuss what options we have available as well as what will best meet your online needs. It's easy to keep in touch with your customers after their purchase with an integrated email campaign module that allows you to send regular emails to your customers with your latest special offers and news. We want you to make sales too, so we have made sure that we have optimised the store for search engines as much as possible. Plus we have included a number of DIY options for you to help boost your ratings online. Encourage customers to purchase online by easily creating coupon and promotional codes, storewide discounts, discounts on certain categories, nominating a sales category or having a members only discount price. We understand you may have fears with security breaches especially when you are offering online transactions. Rest assured unlike many of our competitors' products, our platform uses enterprise level technology and in over 20 years has NEVER EVER been hacked. Create loyalty in your customer base by creating tiers, i.e. create a 10% discount for all members who login, or create an area for wholesale customers or your top level customers to access a larger range or savings.